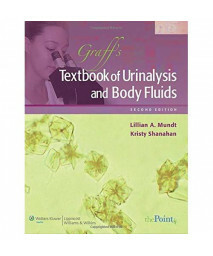 Graff's Textbook of Urinalysis and Body FluidsNewly updated, Graff's Textbook of Urinalysis and Body.. 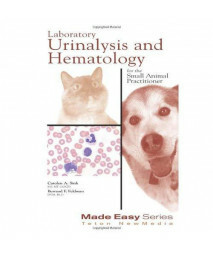 This practical handbook contains everything its user needs to know when performing routine urinalyse..
A Toxicologist's Guide to Clinical Pathology in Animals: Hematology, Clinical Chemistry, UrinalysisT..
Urinalysis and Body FluidsHereâ€™s a concise, comprehensive, and carefully structured introduction t.. 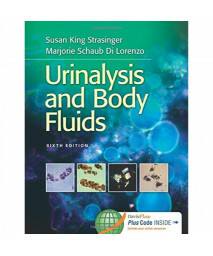 Textbook of Urinalysis and Body Fluids: A Clinical ApproachThe coverage in this text spans the entir.. Laboratory Urinalysis and Hematology for the Small Animal Practitioner (Book+CD) (Made Easy Series)T.. 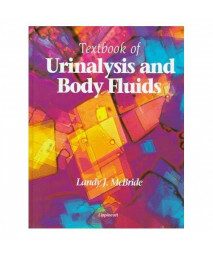 Laboratory Urinalysis and Hematology for the Small Animal Practitioner (Made Easy Series)This text i..
Graff's Textbook of Urinalysis and Body FluidsPublisher's Note: Products purchased from 3rd Party se..
Urinalysis and Body FluidsThis thoroughly updated 5th Edition provides you with concise and careful..